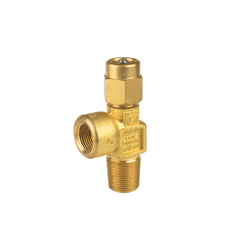 Industrial & Medical Gas cylinder heavy duty valves available, which will not get damage easily. Burst at precise design rating. Open completely and instantaneously upon rupture. Can be used up to 300°C. Provide an unparalleled range of corrosion resistance values. 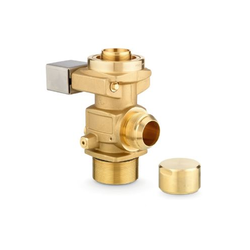 Cylinder Valve is made of high strength brass forging and is mounted on CNG Cylinder. It has inlet and outlet connection for fueling and supply of CNG. It is also equipped with safety device which can release CNG in atmosphere in case of emergency. It is available with manual operative lever type knobs or hand wheel type knob. Diamond Gas Equipment Solutions Pvt. Ltd.
We are using CNG cylinder valves with our CNG conversion kit and these valves are taken from Govt. authorized and approved manufacturers.